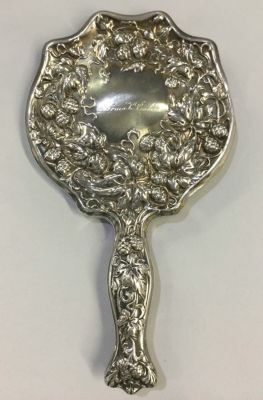 Art Nouveau silver plate hand mirror. American, circa 1900. Embossed with a strawberry and vine motif. Engraved “Norma K Rowland”.